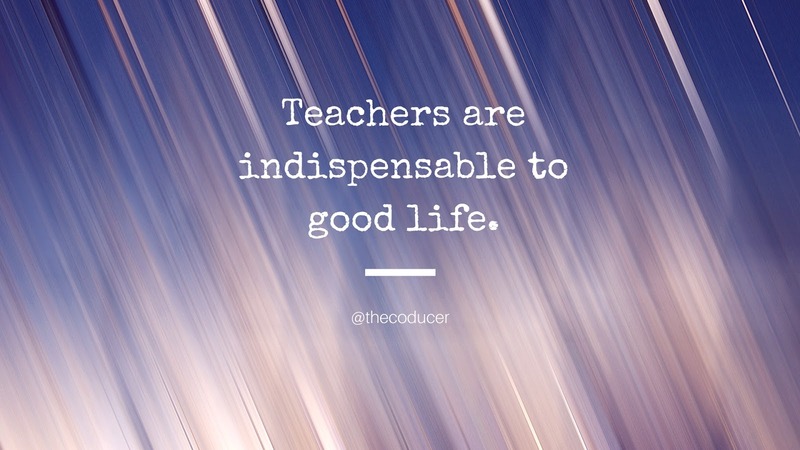 Teachers are indispensable to good life. When parents enroll their 3-4 years old, playful, naughty child in a kindergarten school then from there on an individual begins to interact with their "secondary" parents. The impact of those "secondary" parents and their impression on an individual's life are both irreplaceable and indispensable. Everyone knows them by the word - Teacher but I'm more satisfied in assigning them to be the parents of equal importance as of our real parents. They inspire and teach us to be what we want to be in the journey called Life. They help us to overcome hurdles we face. They tolerate our nuisance and punish us whenever needed. They care for us and, appreciate and feel proud of us when we achieve something good. Well, I believe there can be no specific day to thank our gurus but still a mega celebration demands a special day. And, today, 5th of September is their day, that special day to gift and thank them. A motivating speech by Prof. Mandira Biswas. A dance performance by three newcomer students. Souvik and Kinkini dominated the stage. One of my favorites - "Bheegi Bheegi Si by James"
Celebration followed by a Football Match between teachers and seniors.